Utility asset infrastructures are among the most critical and complex systems in the world. Generated electricity flows across a network that includes various equipment types, makes, models, ages, and materials. Because utilities’ customers depend on consistent power delivery, an unexpected failure of a component can be catastrophic. Systematic inspection and maintenance is a necessity to reduce risk of unplanned outages. There are many voices influencing when electrical infrastructure should be serviced or replaced. Consulting engineers, substation designers, and manufacturers tend to advocate for build and upgrade projects, buying capital equipment and installation services. Shareholders, energy investors, and consumer groups tend to advocate for maximizing the life of assets. But, what is the equipment saying? Where is the voice of the infrastructure assets themselves? ”We thrive on amplifying the voice of the equipment through our data management solutions,” says Jeff Rockwood, Managing Director of Ohio-based softwarecompany On Now Digital. The company empowers utilities to more clearly hear (and see) their critical equipment voices through its SiteLine™ Asset Manager and OnSite™ Field Inspection Application. From day one, On Now Digital has simplified the complex challenges of collecting, collating, and analyzing vast equipment-related data. It began by consolidating field and testing information for substation equipment, transformers, and IoT devices. Beyond substations, On Now Digital has integrated other asset data into its framework, such as pole inspection results, line inspections, and peak-shaving generation units. Drone-based inspections and lubrication oil testing are on deck for new software modules. As the sources of equipment condition data has increased, equipment health information comes in from employees, contractors, laboratories, monitoring devices, SCADA, and testing instruments. Utilities understandably struggle to harness this flood of data and make sense of it. On Now Digital facilitates this data consolidation among the essential equipment health elements— inspection, testing, and trending analytics. On Now Digital streamlines the field inspection process with tablet application OnSite™. The app works among online/offline conditions and can upload field data to any corporate system (IBM Maximo, GE Predix, SAP Hana, etc. ), as well as its own SiteLine asset health repository. OnSite enables teams to customize inspection forms and workflow. It also increases legibility, enforces consistency, reduces inspection time, and simplifies compliance reporting, all while significantly reducing—and potentially eliminating—paperwork. SiteLine™summarizes complex data into simple, insightful views from many sources, while using red, amber, and green statuses to highlight the severity of issues reported. “We work with GPS/GIS map layers to enable intuitive navigation of equipment health”, says Rockwood.“Associated asset information can also be layered, such as name plate, outage, financial, or service provider data.” Additionally, SiteLine™ compares equipment health data against industry-standards where feasible. For example, SiteLine maps transformer oil DGA analysis to a Duvall’s Triangle and compares gas measurements (PPM) to the IEEE C57.104 specification. 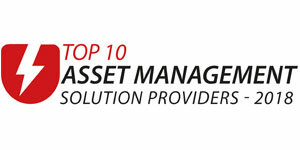 On Now Digital serves clients with custom asset management solutions as well. On Now Digital has delivered integrations for: IoT streaming data, automating chemical analysis, and benchmarking tools backed by big data. Recently, it partnered with a client to launch a Digital Assistant –think Alexa or Siri – to interact verbally with their transformer software (literally giving “voice” to the equipment test results). Another project delivered an app to over 40 field technicians performing more than 45,000 substation and transformer inspections per year. The app integrates work order, scheduling, customer information.To simplify data collection and cross-department workflows, the app facilitates barcode reading and label printing. On Now Digital caters to specialized asset management needs of investor-owned utilities, cooperatives, municipalities, oil diagnostics labs, power plants, and industrial manufacturers, providing easy access to disjointed or neglected equipment health data.“Utilities can now better maximize capital investments and minimize downtime (SAIDI/SAIFI) by just listening to what their equipment is saying. The industry’s rapidly changing tech landscape makes it an exciting time to serve utilities,” says Rockwood.